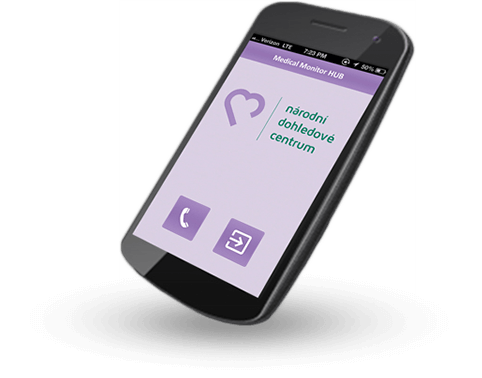 The National Monitoring Center, through remote monitoring, provides immediate transmission of information about the vital functions of the patient to the doctor. At the same time, it bring more safety and security to the patient and his relatives. 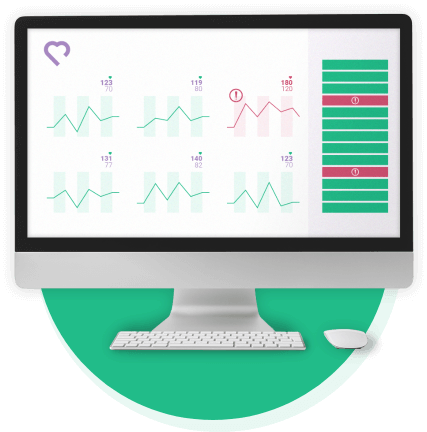 Modern technology allows doctors to monitor patient health progress online and respond flexibly to changes in health by, for example, modifying medication. Monitoring physiological functions using assistive technologies after releasing the patient into home care ensures continuity of health care. Telemedicine solutions in retirement homes address the shortage of physicians and medical staff, save time for doctors at regular visits and reduce the number of transports to specialized outpatient clinics. 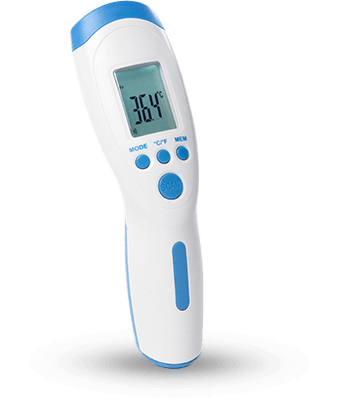 The thermometer is exact, contactless with instantaneous body temperature evaluation. It was developed using the latest infrared technology. The protective glass in front of the lens is the most fragile part of the thermometer, so do not touch the glass of the infrared lens with your fingers. Personal diagnostic scale with maximum load 180 kg, 100 g accuracy and blue backlit display. 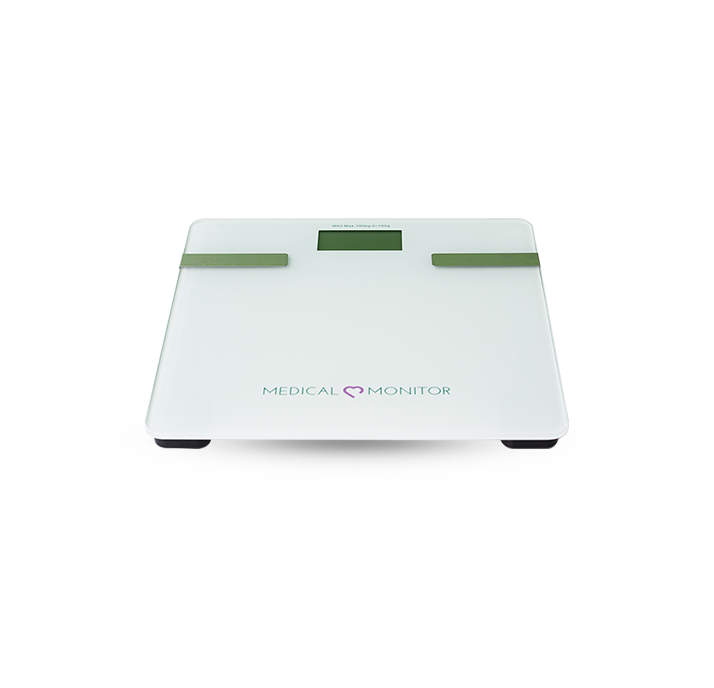 Scale measures body weight, body fat, percentage of muscle, bone mass and calories. The main advantages include very long battery life. It has an automatic disconnection, an overload indicator, and a battery replacement indicator. 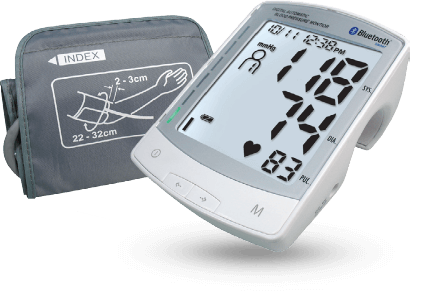 The digital MD2020 on your arm will help you reliably and contactless measurement of blood pressure, comfortable at home. 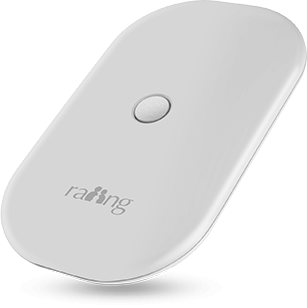 The device is equipped with a battery indicator, a patented body movement indicator for precise measurement, and it can also indicate the irregularity of heart rhythm. Intuitive control display, for example, the mean of all measured values for the last 7 days. After the measurement, the devices enters standby mode. 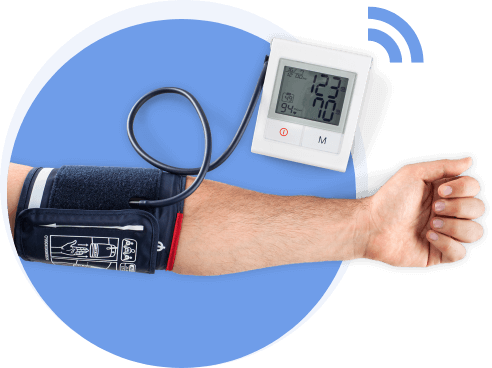 The digital device with Bluetooth will help you reliably measures of blood pressure, comfortable at home. 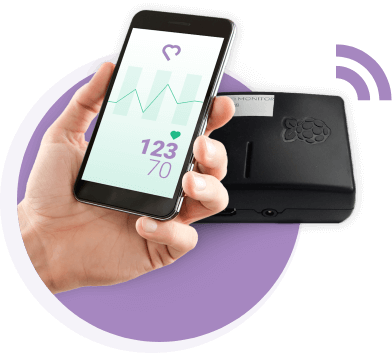 The device is equipped with a battery indicator, automatic disconnection, a patented body movement indicator for precise measurement, and it can also indicate the irregularity of heart rhythm. You will find out, for example, the mean of all measured values for the last 7 days which is displayed on the screen thanks to the intuitive touch control. 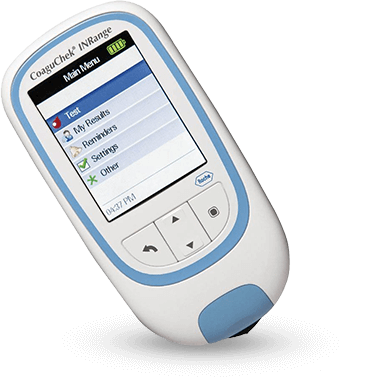 Home glucometer with wireless data transmission, developed in collaboration with diabetes experts, medical facilities and patients themselves. 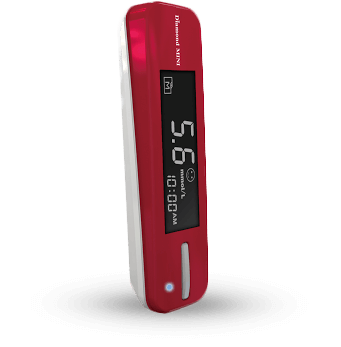 Thanks to its reliability, compactness, accuracy and ease of use, the device is able to monitor the blood sugar regularly and store the measured values. 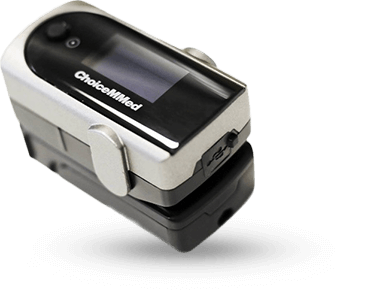 Oximeter is a device for measuring oxygen saturation. Saturation of blood with oxygen indicates the percentage of oxygen-saturated hemoglobin from the total amount of hemoglobin in the blood and denotes K .. 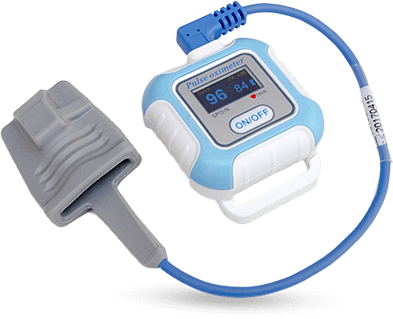 The wrist pulse oxymetr is small, light and is available for long-term monitoring. The OLED display shows actual numerical value of measure. 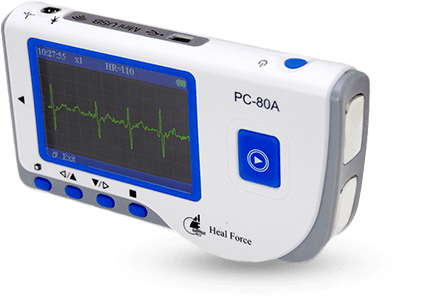 The Pulse Oximeter is a compact and lightweight device for measuring heart rate and oxygen saturation. It features an OLED color backlit display, 2 display modes and a battery status indicator. Data transmission takes place in real-time using bluetooth. The spirometer is a device that plotting your breathing as a plot of lung volume over time. The exhaled air passes through the measuring head that has a mesh grid. 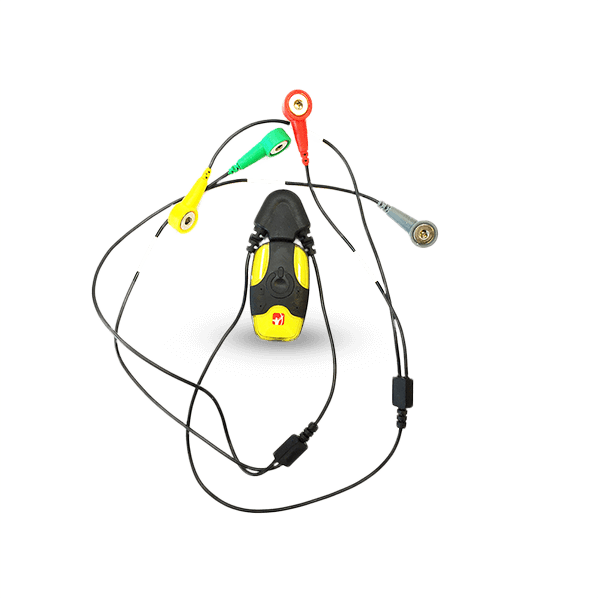 The sensor records slight changes in pressure on the grid and evaluates it via the connected interface. 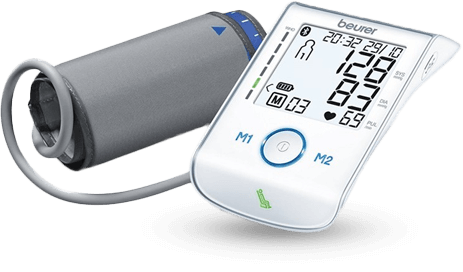 This type of ECG device is designed for home use and is suitable for patients suffering from cardiovascular diseases such as hypertension, diabetes, coronary heart disease, and the like. 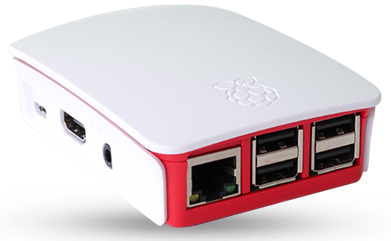 The device allows you to regularly measure the actual values and store them in the internal memory, from which they are then sent to the Monitoring center. An ECG holter weighing only 13 g and with dimensions 48x29x12 mm is a portable, comfortable and compact device for monitoring the ECG curve, heart beat and general health. The ECG Holter also monitors physical activity and the 3 channel ECG allows temperature measurement. 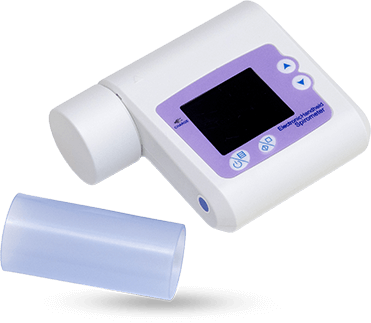 The CoaguChek system is designed to determine prothrombin time (PT) in fresh capillary blood and allows for easy monitoring of coagulation at home in anticoagulant therapy. The patient is not traumatized by taking blood from the vein and the doctor has immediate information on the outcome, and then he can make medication adjustments based on the measured results. The meter allows you to store and control up to 400 measurement results, graphically or in tables, to display the results report directly on the meter. A useful tool for planning tests and other events is the remark that can be set on this device (eg use of medicaments, test execution, appointment, etc.). Continuous thermometer ensures continuous measurement of the patient in the comfort of his home. The dimensions of this model are only 51.9 x 31.6 x 6.5 mm and the weight without the battery is 6g, so it can be comfortably used by everyone, including small children. The body of thermometer is made of white plastic, which is non-toxic and non-allergic. The thermometer has a very good design without sharp edges, which makes it possible to use it in any activity. The thermometer is powered by battery that lasts up to 120 days when used 8 hours a day. Use is very simple. The thermometer is glued to the body by the patch and automatically start transfer the values. Measurements are performed using medical devices designed for wireless transmission of measured values. Measured values are automatically transferred to a mobile HUB (mobile phone with special SW applications) or to a stationary HUB (mini PC) using bluetooth technology. Subsequently, the values are transferred through the secure GSM network to the National Monitoring Center, where data are processed and evaluated. 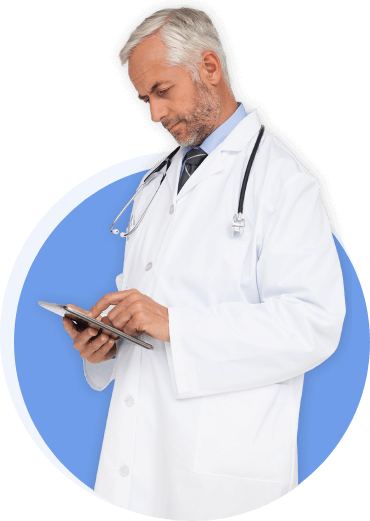 The values are displayed in real time, and the attending doctor (or healthcare staff) has constant access to them. In the case of values measured outside the interval prescribed by the physician, the physician is immediately informed (sms, email, phone call) of a warning or critical alarm and can respond immediately (modify medication, change border parameters and set up a measurement plan, invite the patient to check in the surgery etc. ).